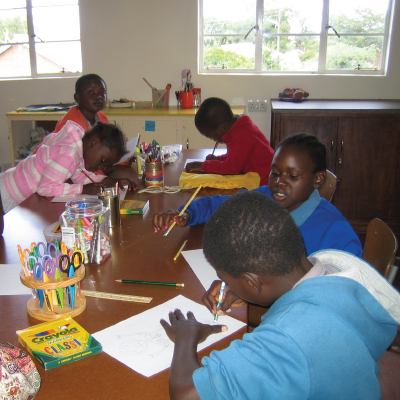 The Karanda Primary School is a small school developed for the purpose of providing a quality education for the children of our hospital staff. It helps to keep qualified staff working at our hospital. Without the school it would be difficult to keep young families at Karanda as they would move to urban areas where their children could attend good schools. As a mission our purpose is more than just to keep staff at the hospital, it is also an opportunity to build into the lives of the children, not just academically, but spiritually and emotionally. We have Bible classes every day and take every opportunity to share the Gospel and disciple the children. We see this as an opportunity to grow strong leaders for the future church in Zimbabwe. The school uses a local government correspondence course for the curriculum with classes from grades one through seven. The school year runs from mid January to early December with three terms of three months each and a month break between each term. We are often looking for teachers to help in the school. Qualified teachers are very desirable, but not absolutely necessary. It is similar to a homeschool situation and those who have experience in home schooling would also be very valuable.